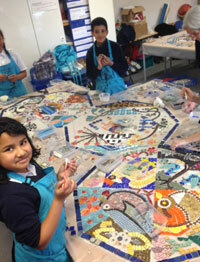 Curwen Primary School invited Artyface Community Art in to help them transform their school entrance with a unique and sparkling mosaic project. 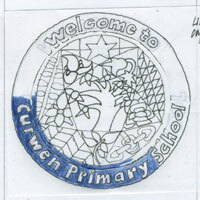 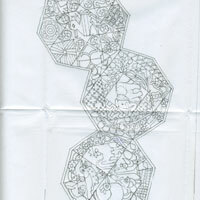 The brief was to make something that represented the multi-cultural rich mix of the school's pupils, working with the whole school. 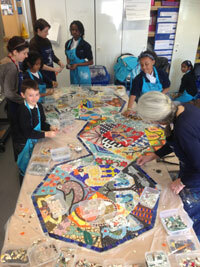 The school council researched the schools cultural diversity and Artyface and Curwen's Art Department brought fabrics in from around the world for the pupils to draw. 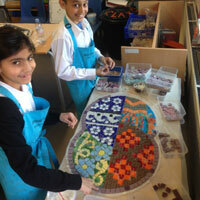 "The process of designing and creating our new mosaic has involved all at the school and beautifully represents the rich tapestry of cultures which, without doubt, is a strength of the school. 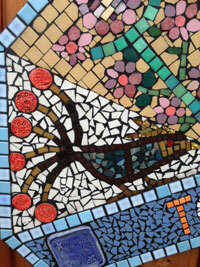 Through the colourful mosaics visitors are now presented with a vibrant welcome that represents the many cultures within our community. 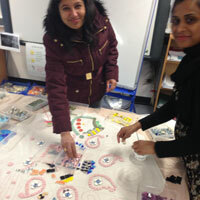 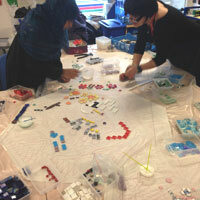 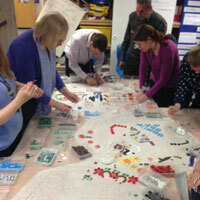 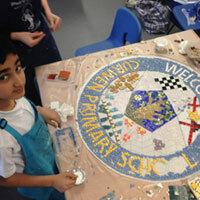 The mosaic will provide future pupils a visual representation of how multi-cultural our school is and will be a powerful teaching tool when exploring our community." 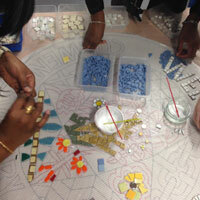 "This was a great opportunity for us to investigate about where we have all come from. 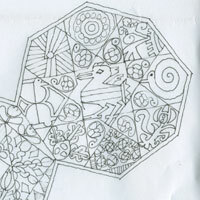 We looked at different materials and fabrics and drew designs from them. 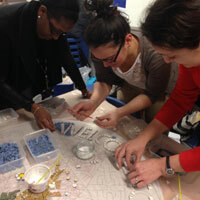 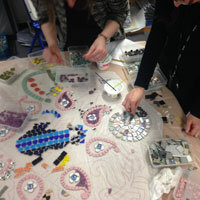 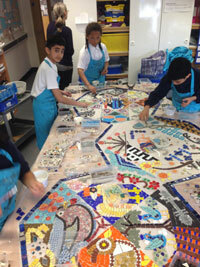 Everyone had an opportunity to add their little bit to the final mosaic so that together we have created a masterpiece of our Curwen culture." 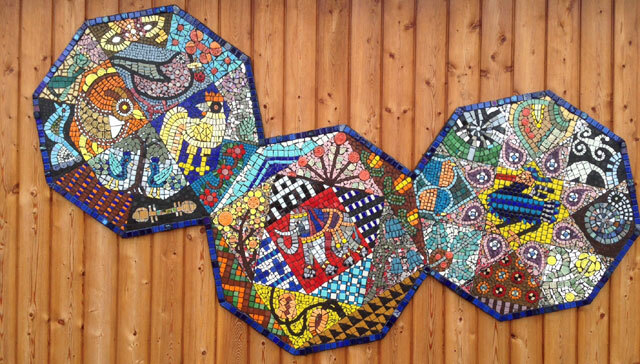 "The bright, intricate and colourful result looks wonderful at the school's entrance", said Maud Milton, founder of Artyface and one of the Lead Artists. 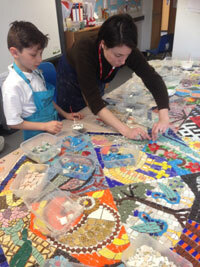 "The whole school was involved in the project and it is lovely to bring all members of Curwen School's community together to make these inspiring mosaics that they will see every day, now and for many years to come. 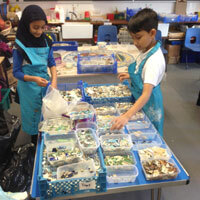 A legacy for the pupils of today for the future pupils." 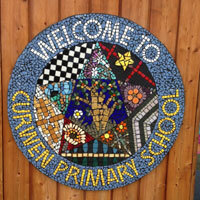 The school motto 'Together We Achieve More' and a 'Welcome' sign were also part of the project. 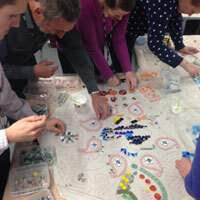 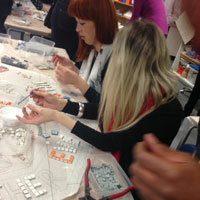 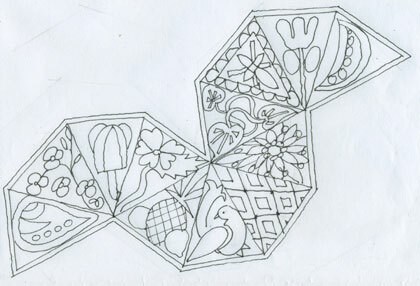 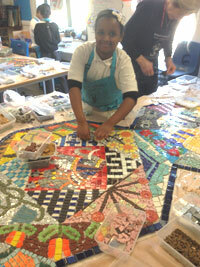 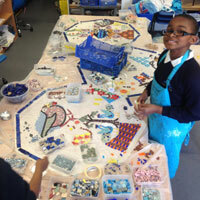 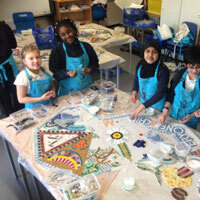 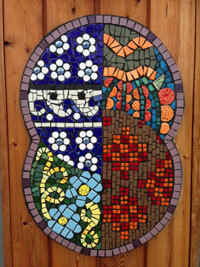 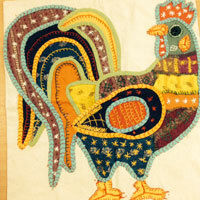 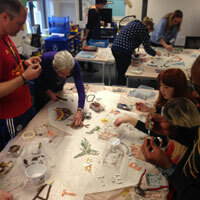 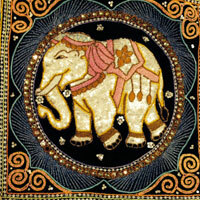 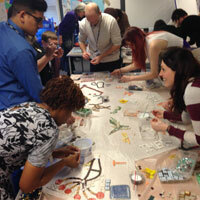 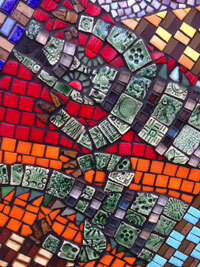 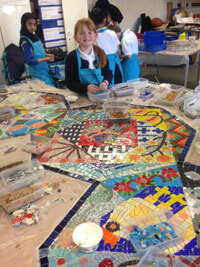 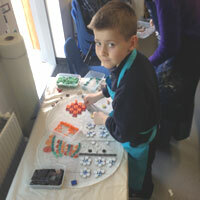 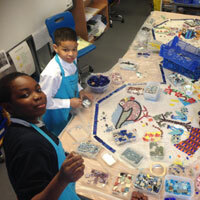 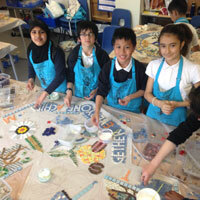 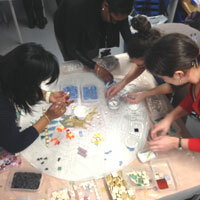 The mosaics were put up over the Easter Holidays and the pupils had a lovely suprise their first day back at school!